The perfect stamping effect depends on the level of temperature, pressure and bronzing speed. Therefore, to control the quality of stamping, we should master a reasonable stamping temperature, pressure and speed. So as to create a good condition for the stamping in order to eventually ensure the quality of stamping. This special shape stamping press is applicable to stamp and form the contour lines on the abnormal bottle caps, featuring good mobility and uniform and polished stamps with no joints on the outward curved surfaces or corners. 2.Nice printed quality: Well-proportion, highly shiny, no connection mark and low wastage rate. 3.SMCpneumatic parts, promise of good quality. 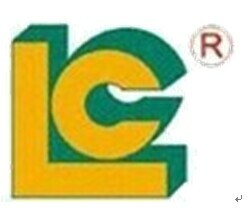 Luen Cheong Printing Equipment Group Ltd is located in Guangdong Province, Dongguan City. It is only 1 hours by car from Guangzhou or Shenzhen. LC has been an industry TOP supplier of Pad printer, Screen printer, Hot Stamping Machine and the relative accessories supplies for 26 years. We have become well known by our customers and others in this industry due to our professional service and machine quality. We offer a full line of machinery.